I’m really behind on my book reading! I bought three books about four weeks ago and so far, have only been through two of them. I’m not sure when I’ll get time to read the third! Anyway, while the entire literary club was busy reading the Cursed Child, I picked up this title, the second book of the Cormoran Strike Series. This was such a great book! I really enjoyed reading it! 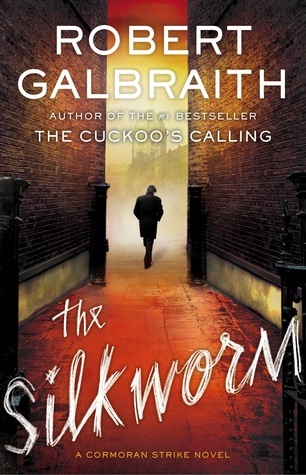 I always love the idea of a book, being about a book, which is basically what the Silkworm is about. The entire mystery and murder revolves around author Own Quine’s latest book, yet unpublished, but distributed among editors. The first book had been all about the world of a model, the second book is about the world of writers. It’s no surprise that Robert Galbraith, aka J K Rowling is well versed on how publishing and editing works. The novel is a detective novel, there are interviews to take, notes to be made, people to be followed. I really found the entire exercise very fascinating, how Strike would ask for interviews, how he would get into places to get a closer, inside look of situations. His assistant, Robin, was also interesting. She is ambitious and excited to work with a detective, but is being held back by her fiance and Strike as well. She manages to break through the barrier and assert her stance on how she felt about helping to solve cases. The ending of the book was quite a twist however. It was certainly a strange turn of events, although there had definitely been clues and hints littered in the previous pages. I liked how Strike relates Owen Quine’s novel to the reader and now I can’t help but want to know what the actual novel was like! (Mild spoiler, but it’s okay). All in all, the book was enjoyable. 4/5 stars and I would definitely pick this up again for another read.